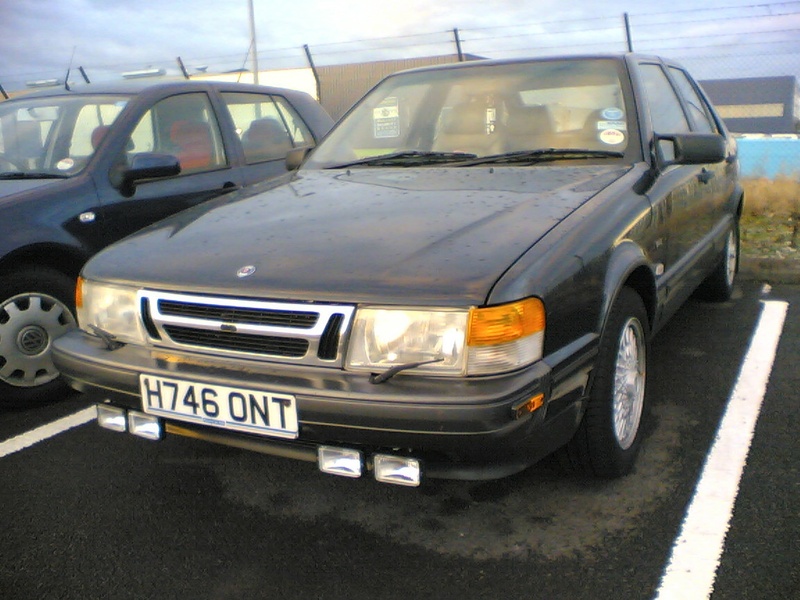 Just for old times sake I thought I would include a page devoted to my old H reg 2.0 N/A Saab 9000i. I bought this from an old employer for £25! 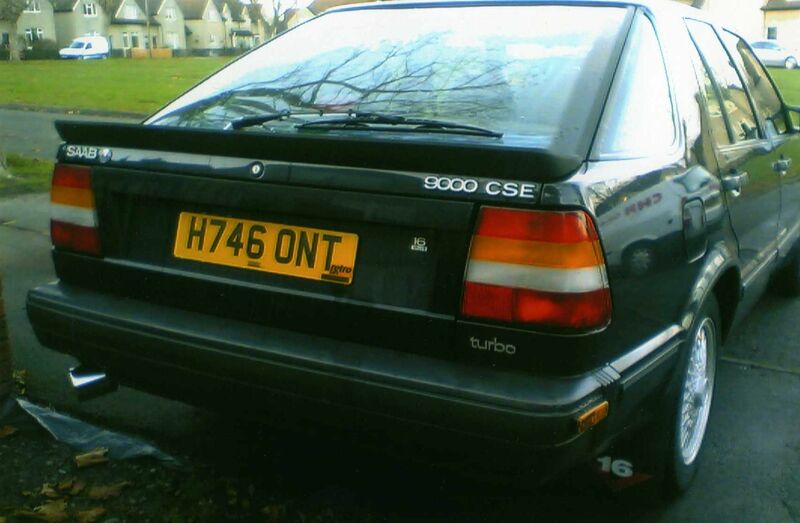 It was in a very bad way but with a large amount of TLC & cash it soon became the best car I have ever owned. 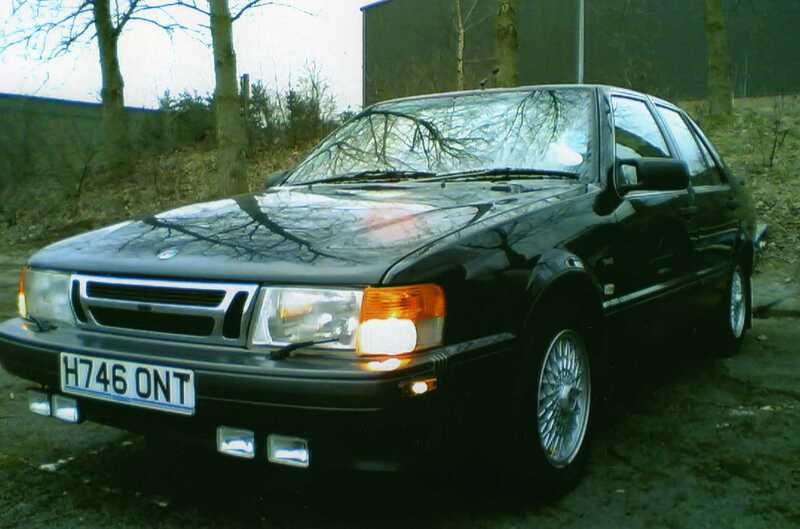 At this time I did own a L reg 2.3 9000 cse which was taken off the road due to a blown gearbox, this became my donor car so the blue 9000i could live again! I removed the complete interior (blue cloth seats, carpet, door cards ect, yuck!) & replaced this with a complete tan leather interior, the full works including heated electric memory seats. 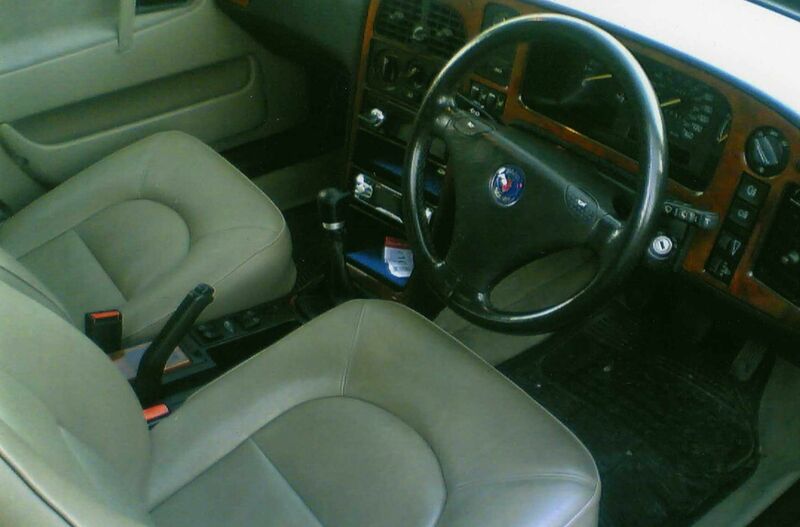 Three spoke leather steering wheel. 15 inch cross spoke alloys. Rear boot spoiler & rear wash wipe. Front fog & spot lamps & chrome grille. Engine rebuild at 249k miles. When this car was complete it served me well for a further two years, it was then sold to a buyer from Telford to make way for the new 9-5. I never thought to take any photos whilst I was rebuilding this car. A collection of before & after pics would have been great but I needed this car on the road as soon as possible so taking snaps at various stages of the rebuild slipped my mind. 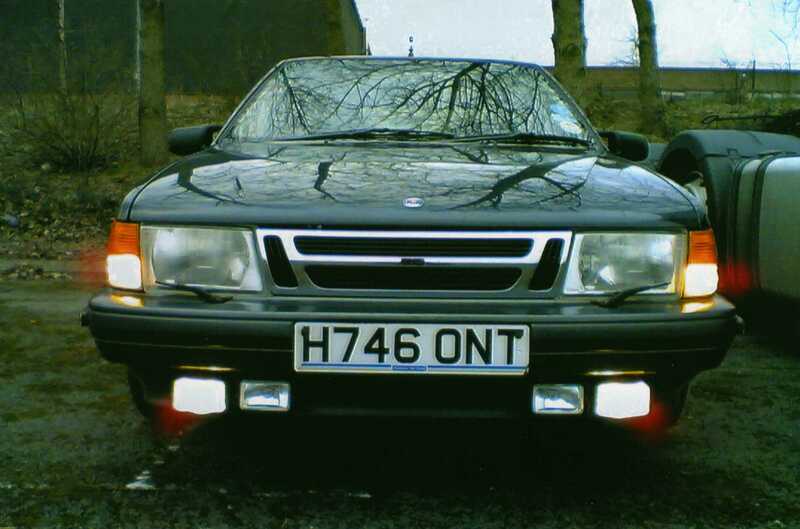 This 9000 was my first dip into the world of Saab. She was a moody beast & one that required regular attention, money & time! 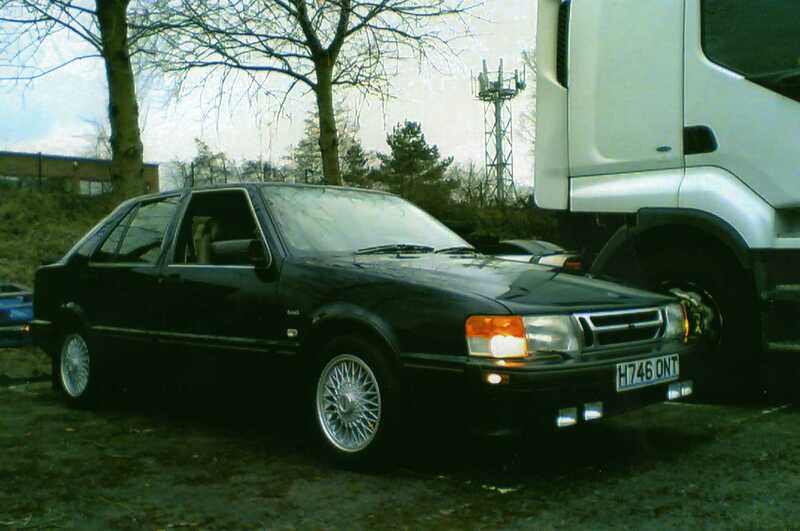 Most of the work involved was cosmetic as she was a bit of a banger that had been used as a works vehicle rather than a family cruiser, the interior was a mess with torn seats & scratched pannels. So that was one of the first jobs to sort, once the leather interior was fitted & all the interior pannels & carpets changed it became a totally different car to drive. Then it was time to clean & tidy up the bodywork which after a good bit of touching up, T-cut & polish came up rather nice. Alloy wheels, spoilers, lights, new side mouldings were then added to posh the old thing up abit & she was ready to roll. The engine rebuild was down to a blown head gasket at 249K, new timing gear, water pump, head set including head bolts & she was back on the road.